Flip a coin. If heads, all of the opponent's pokemon have glitched up stats and can only do 10 damage per attack. If tails, nine clones of your attacking pokemon appear and the opponent must take it out 10 times to defeat it. 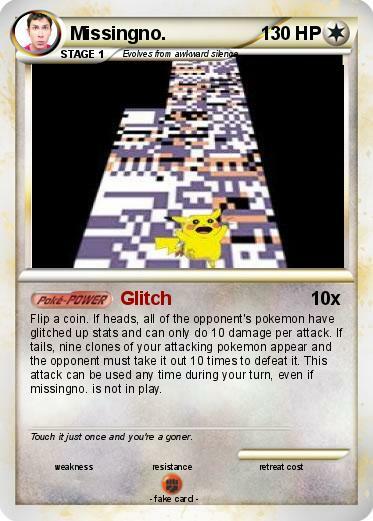 This attack can be used any time during your turn, even if missingno. is not in play. Comments : Touch it just once and you're a goner.